How many magnets does it take to screw in a light bulb? None. 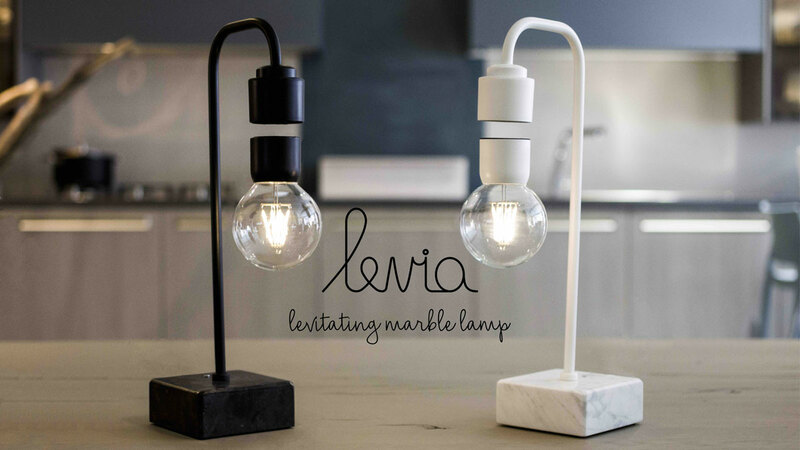 In the Levia levitating lamp, the magnets form a magnetic field strong enough to counter gravity, allowing the Levia light bulb to levitate an inch or so from its "socket," and several inches from your desktop. No screwing in of this light bulb required. 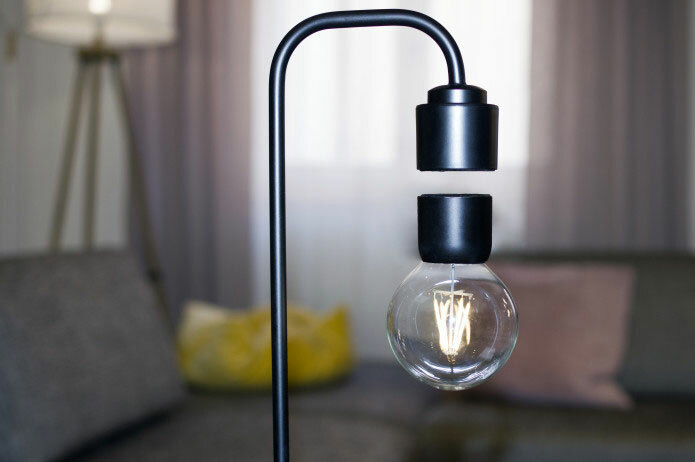 In addition to its hovering bulb, Levia lamp creators idea3Di have made a few other design choices to return a standout piece of desktop lighting. The Italian-crafted Levia base comes in a choice of genuine Carrara or Black Marquina marble, both CNC-cut and hand-finished for a rich, polished white or black lamp support. A simple rod arm, also in either white or black, extends from the base, bending twice to create a minimalist attachment for Levia's cylindrical magnet housing. 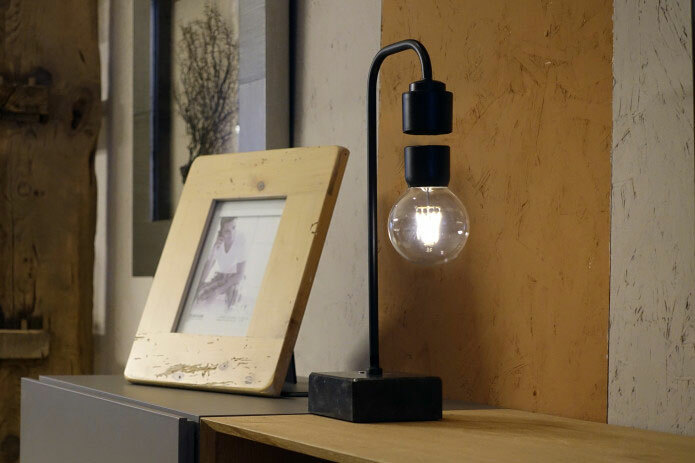 Levia light bulbs are round, Edison-style models that give off 100+ lumens of warm light. 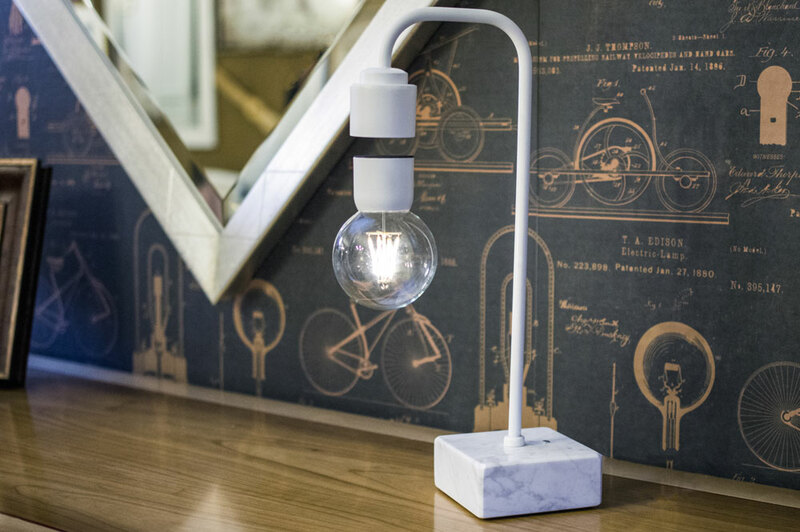 With the Levia lamp plugged in, the light bulb turns on / off via a touch switch on the marble base, and its attachment to the magnetic field. You can turn the light off without affecting the bulb's levitation, or you can leave the switch on and physically remove the bulb / pop it back in to its hovering position to achieve the same off / on effect. 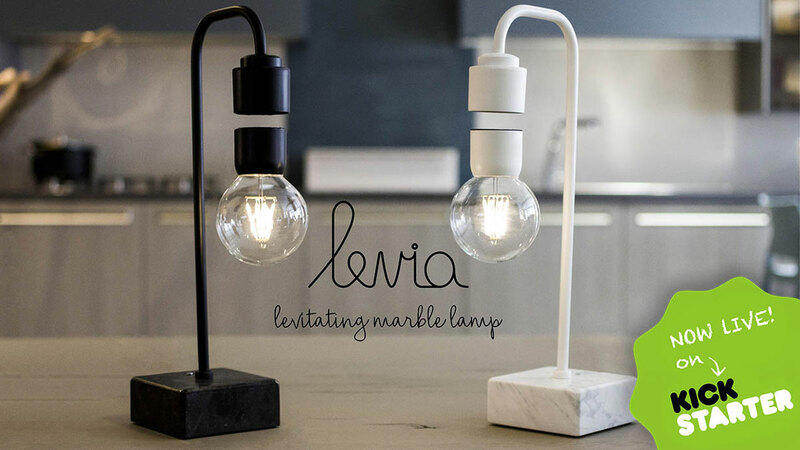 The Levia levitating marble lamp seeks crowdfunding through March 4, 2019. Order now here on Kickstarter.